Well this is funny. These weren’t suppoesd to be here ‘till thursday. So I did another deal with the devil my boss, picked up 2 Challenger Hellcats for $20. He payed half and got half, I payed half and got half. Kinda annoys me that they don’t say Hellcat on the packaging and instead just calls it the Challenger SRT. 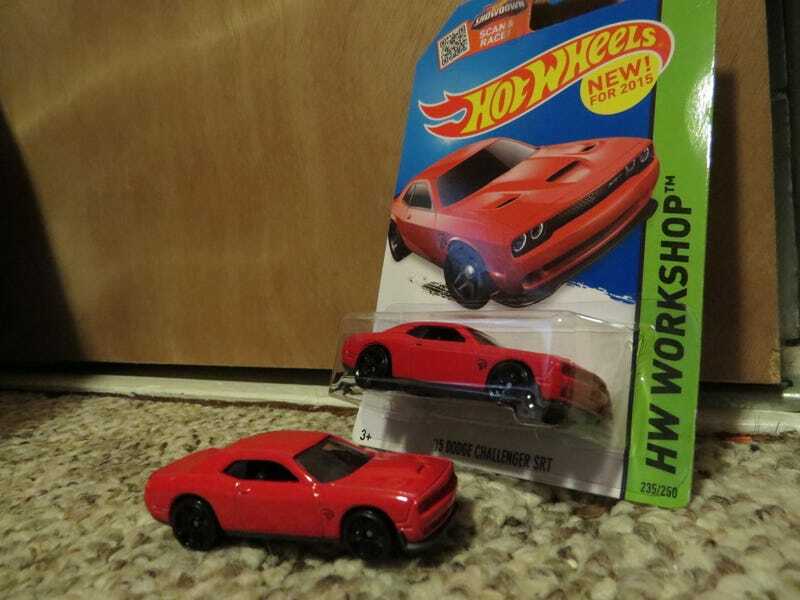 Especially because now knowing this I’ve actually seen HW Challenger Hellcats out in target recently. They had stupid graphics on them though and no Hellcat emblem so it just didn’t feel right. Since I got three of them, I decided to liberate one from the cardboard. Funny enough on the bottom they have the Hellcat logo next to the name. I just checked my Charger Hellcat and it does the same thing.